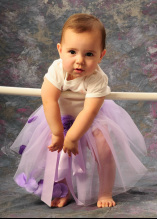 Starz Dance Galaxy offers a wide array of children's dance classes from recreational to competitive level training. Explore the links below to learn more. Contains a brief description of all of our recreational and competition level classes with typical age for participation from Toddlers to Teens. Day by day listing of all of our regularly scheduled classes. Provides a basic listing of the attire that is appropriate for each of our classes.